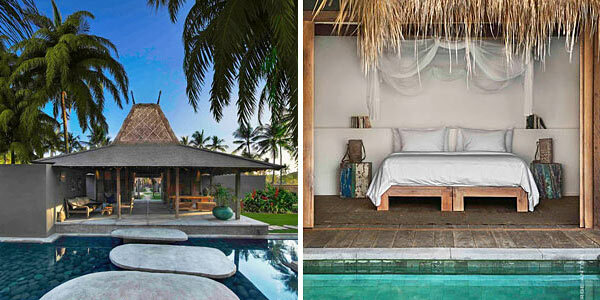 Our Senior Editorial Assistant Melissa reveals i-escape’s latest hot spot, the Gili Islands. An Indonesian island haven where the living is easy and turtles rule the waves – perfect for combining with Bali. 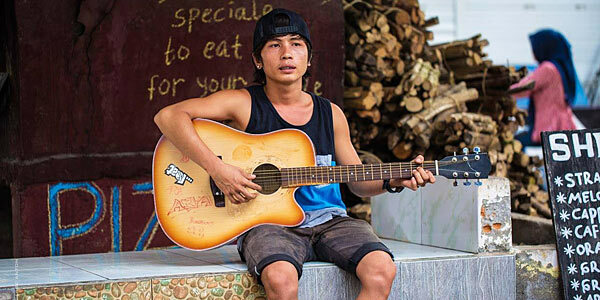 In recent years people have started asking if Bali has changed – if certain areas have lost the chilled-out island atmosphere that once was. Well, we believe Bali still has a wealth of wonders to offer: Ubud’s rich culture, thrilling west-coast surfing, dense inland forests, dramatic mountains and achingly hip beachfront towns. 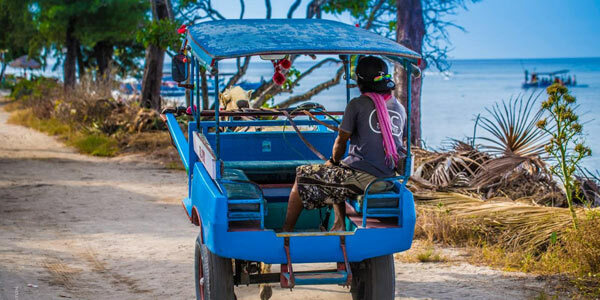 Having battled through Bali’s chaotic Padang Bai port to catch our fast-boat transfer to the Gilis, we approached Gili Air feeling hot, bothered and rather grateful to leave behind the party-mad passengers heading to neighbouring Gili Trawangan. 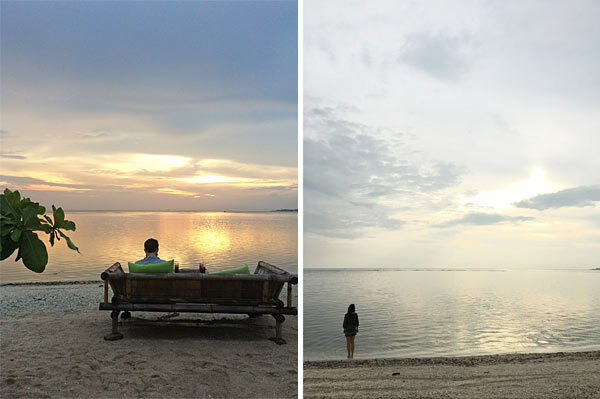 Despite their proximity to each other, it would be a mistake to think the 3 Gili Islands are similar. 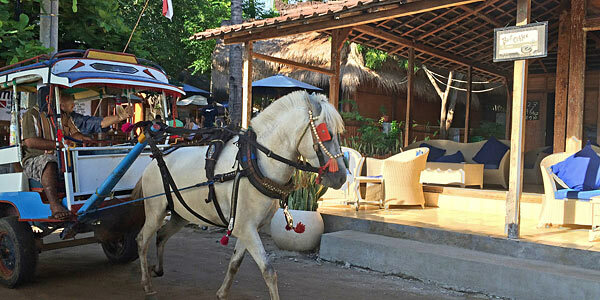 Gili T is all beach parties and Bintang, while sleepy Gili Meno has just a handful of romantic resorts. 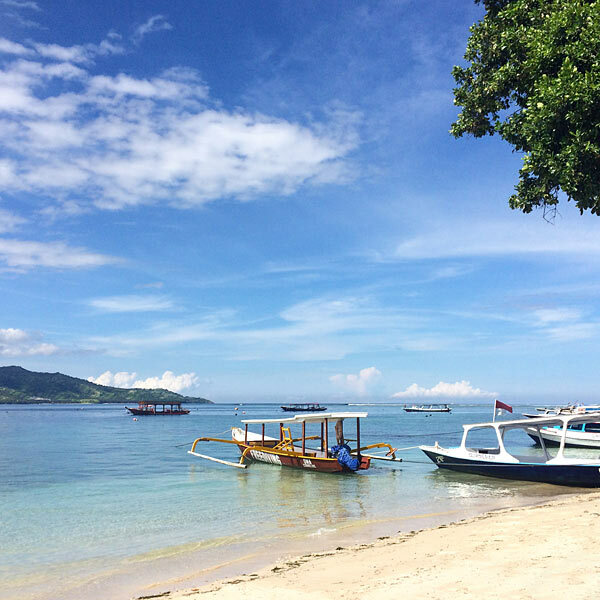 To our mind, Gili Air is the best of both worlds – it’s the kind of place where you can go back to basics with late mornings, lazy lunches and leisurely evenings chatting over cocktails. And there’s nowhere better to slow down than beautiful Slow Gili Air, a heavenly resort just inland from one of the island’s quietest beaches. Owner Julie welcomed us as friends. A long-time traveller herself, she settled here after globetrotting as a dive instructor. Her warmth and enthusiasm were infectious, and we found her commitment to employing island residents and supporting ethical initiatives admirable. Slow Gili Air felt like a very positive place to be. 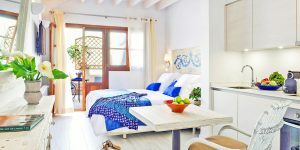 Moreover, our boutique villa truly felt like home, with a beautiful alfresco shower room, a handy kitchenette, and a shimmering pool overlooking the palm trees. 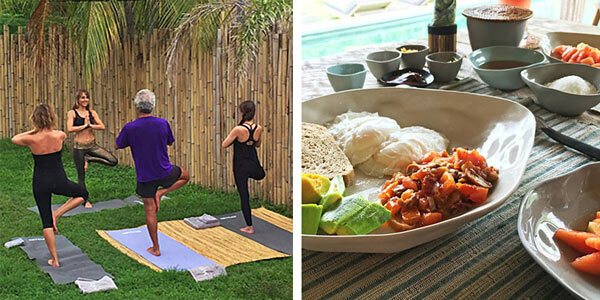 It was hard not to feel at ease the next morning when, having joined the morning yoga session and taken a refreshing pre-breakfast dip, we tucked into delicious avocado and eggs on our private terrace. Afterwards, I wandered along to the spa, where a much-needed aloe vera massage soothed my mosquito-ravaged skin. 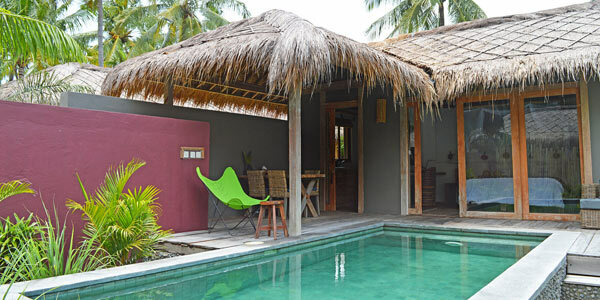 In no time at all Slow Gili Air had transformed me from harried traveller to Zen island-dweller. No wonder people are loath to leave! Later that day we discovered the island can be traversed east-to-west in little more than 30 minutes, and lapped in about an hour or so (depending on how many mojitos are required en route). Palms fringe the sands and enormous driftwoods invite afternoons sat gazing across the sea, we gladly obliged. Although many come here for the outstanding dive courses, we instead spent a fantastic low-effort day snorkelling just yards from the beach. We paddled amongst myriad tropical fish and came face-to-face with an enormous turtle as he gracefully ascended to the surface for a breath of air. Ready to embark on your own desert-island dream? 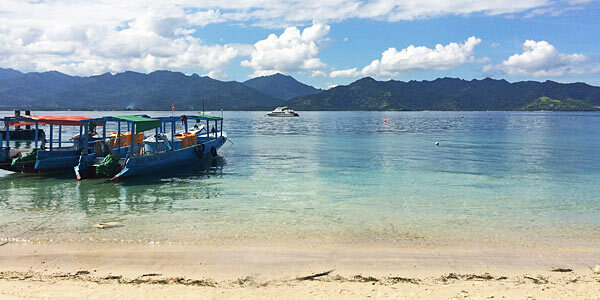 Check out the Gili Islands. 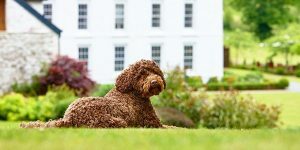 Browse our full collection of boutique hotels around the world.